Oak 4 pocket wooden wall mount / display magazine and literature rack. 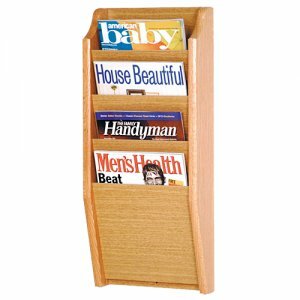 Our beautiful wooden wall magazine racks are constructed with 3/4 inch solid oak sides and sealed with a durable state-of-the-art finish to prevent wear. Magazine pockets are 9 inches wide by 3/4 inch deep. 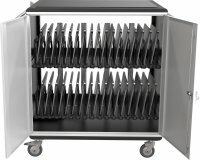 All racks are pre-drilled and include hardware for easy wall mounting.